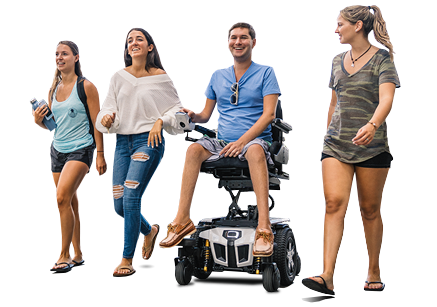 The Quantum® Kozmo™ and Kozmo™ Portable pediatric power wheelchairs are now available! The all new Kozmo and Kozmo Portable are engineered to meet the needs of even the most active child. Their highly compact size provides easy access to kid-sized spaces, while kid-friendly color choices add a fun, personal touch. The Kozmo Portable provides one-hand, feather-touch disassembly makes transport fast and convenient for parents on the go. Whether on the playground or in the home, your child will have a blast with the Kozmo or Kozmo Portable.